Owning and running any kind of business is a major commitment. That’s why it’s something that always requires a significant amount of thought, preparation and dedication. If you’re an animal lover who wants to be an entrepreneur, purchasing and operating a pet franchise may just be a viable path for you. There are quite a few advantages to pet franchise ownership. It doesn’t matter if you run a franchise that specializes in pet grooming. It doesn’t matter if you run one that focuses on selling pet food and pet care products, either. It can be highly rewarding and enriching to work in the pet field. If you’re someone who cares deeply about animal welfare, you may feel like you’re doing a good thing for the amazing creatures who mean so much to you and to so many others. That feeling can be priceless. This kind of franchise can be a lot of fun. People tend to stick with careers they enjoy. If you don’t love running your franchise, it probably won’t be a hit. You probably won’t do a good job at it, either. The good news is that franchises that focus on pets tend to be pleasant and lively environments. Adorable animals can make you smile when you’re having a rough day. It can be a joyous experience to look after them. They can lighten the mood quickly and easily. The pet industry is a major force. It made an impressive $73 billion in 2014. That amount of money is no joke. If you’re interested in opening a franchise that has significant potential, the pet world may be calling your name. It’s without a doubt a quickly expanding industry. It shows zero signs of slowing down any time in the near future as well. Entrepreneurs who are focused on profits and lasting success, as a result, may want to put their attention on franchises that are part of the pet realm. People all around the United States adore their pets. They’re often more than happy to spend their hard-earned money on them, too. Pet owners often like to pamper their four-legged friends with balanced meals, healthy treats, routine grooming appointments, exciting interactive toys, mild bathing products and beyond. There are many franchises that require owners who have substantial experience. That isn’t the case in the pet world, however. If you lack significant experience but are still interested in running a franchise, it can help to focus on pets. You don’t have to be a seasoned veterinarian, veterinary technologist or animal behavioral therapist to run your own franchise. You simply need to have a strong grasp of first-rate customer service. It can also help considerably to know the ins and outs of business ownership. If you want to thrive in the pet industry as a business owner, you need to possess strong customer service abilities. You also need to understand the fundamentals of human resource, customer relations and management techniques. These skills can all help you zoom past the competition. Note, too, that competition in the pet world can often be rather fierce. There are so many pet-related businesses everywhere these days. Franchises have to work hard to keep up with each other. It can be intimidating to start a business that doesn’t have a name people recognize. Running a franchise, however, can eliminate that issue. If you purchase a pet franchise, people will be familiar with its brand name. They, because of that, will instantly feel 100 percent comfortable turning to your business. 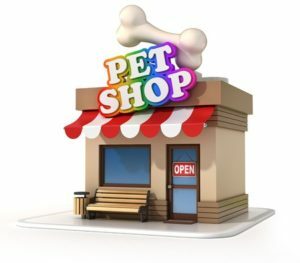 If you like the idea of running a pet business that people feel confident in, a franchise should be a great fit for your needs and preferences. Running a franchise can give you quick credibility. Credibility can otherwise be tough to build. Independent businesses frequently struggle with it. Running a franchise in the pet industry can be an intelligent option for entrepreneurs who want to steer clear of potential risks. Franchises have business models and approaches that are tried and tested. That makes running them considerably less daunting. If you want to be able to accurately anticipate the results of your new business, the franchise route may be your greatest bet. It doesn’t matter if you’re someone who has a penchant for cats, dogs, fish, gerbils, guinea pigs, hamsters, parrots or lizards. It doesn’t matter if you’re someone who simply wants to begin a thriving business. You should carefully explore all of your options in the franchise world. Running any kind of business is a big deal. Pet-related franchises are certainly no exception. If you want your upcoming pet business to be a success, you have to keep your eyes on the prize at all times. You have to have laser-sharp focus as well. Distractions can be a disaster for people who care about franchise achievement.